LtoFlash | Welcome to the Intellivision Revolution! 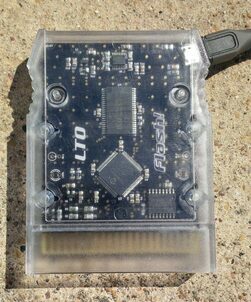 LtoFlash is an Intellivision MultiCart for your Mattel Intellivision Console. Originally code named: Locutus, this user friendly 'drag and drop' based multicart should be available for purchase by the arrival and revealed at the upcoming retro gaming convention CGE 2k14. A price point is an estimated $119.00 and comes in an Elektronite produced gatefold box with manual. Produced by Joe Z, William M, Steve O, and Voltron. Future compatible with IntyBasic programming tool. Each folder can have up to 255 files in it, and the directory structure (and menu layout) is limited to 4 levels. You can put as many "copies" of the ROM anywhere you want, and you don't need to worry about tinkering with filenames on your Mac or Windows box. The goal is for the Mac to work on OS 10.6 and later, and Windows to work in xp and later - though the setup for xp will be slightly different. 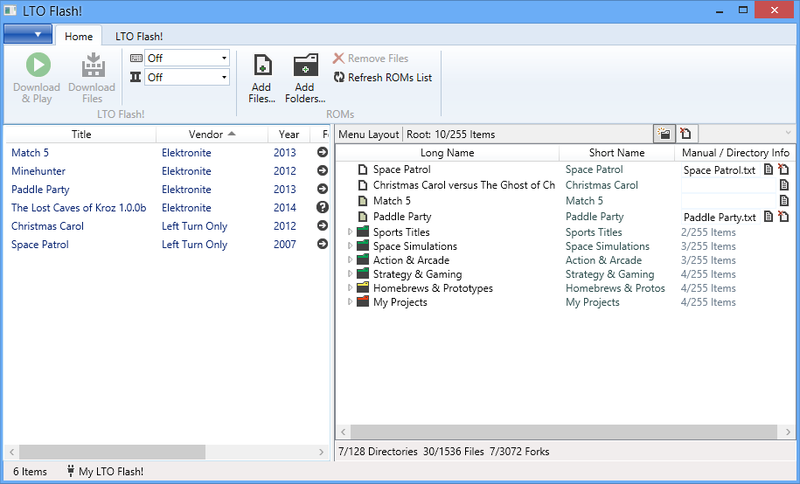 The custom file system groups all the assets for one game under a single "file"—the game image itself, any save-game data, its manual, and so on. So, that "255 file" count per folder is really a "255 games or subdirectories per folder" limit. By tying all the assets together under one name, you also don't run into issues lining up manuals with ROM images, BIN/CFG files with mismatching names, etc All that is taken care of when you import your stuff into the GUI, or at least it should be. The file system is designed to allow very efficient resync'ing with the PC/Mac. For example, suppose you decide to massively rearrange your collection, dragging everything into different folders and so on. When you click "sync", the synchronize operation should go very quickly. It doesn't need to re-upload your games if all you've done is reorganize. It just uploads the shuffled metadata. The custom filesystem is flash-aware, complete with a custom journaling flash translation layer designed to maximize flash lifetime and minimize overhead for updates. 1MB RAM, organized as 512K x 16 bits. Accessible via Intellicart and ECS-style bankswitching for new games. 32MB on-board flash. Custom filesystem designed for efficient game storage. MicroUSB 2.0 connection. Supports data rates up to approx 1Mbit with hardware flow control. Uses standard FTDI serial drivers available for Mac, Windows and Linux. Full support for Intellicart, CC3 and JLP based games, including JLP save-game support. Screenshots of in game menu system and PC interface. 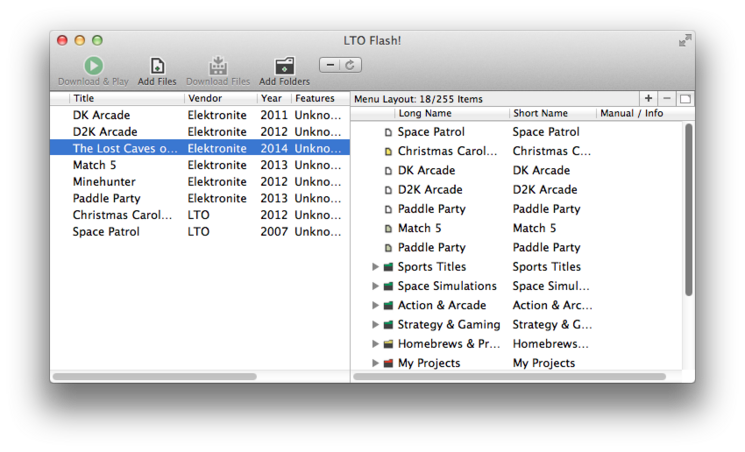 Lto Flash is not affiliated with Intellivision Revolution.